-Well, it’s been almost 4 months since I’ve done a Raw report for Eric Gargiulo and this site. But since tonight’s about nostalgia, Eric decided to bring back his favorite writer to cover tonight’s show. But since Eric Darsie declined, the Garg went with me. This is merely a one-night proposition, as I’m now a full-timer with WrestleCrap.com and Football Nation, but I’ll drop in here and there with retrospectives and other articles for Camel Clutch Blog. I can’t stray too far from my roots now! -Live from Houston, where William Shatner monkey flipped Jerry Lawler, and Vince McMahon was nearly decapitated in the Corporate Rumble. -Mishmash of opening credits kicks things off, notable because it includes the Raw 95 intro with DANCING VINCE. Speak of the devil. Vince thanks the fans for tuning in, even though it was his “iconic genius” that caused their viewership. It’s Dolph vs. Cena in a cage, plus a Rock Concert, so let’s kic—er, no, let’s deal with suit wearing Big Show first. Show’s holding up the show. He used to do that by actually wrestling. Vince takes exception, and mocks Show for no longer being champion. And because it’s the modern 3 hour Raw, we get the recap video of Del Rio winning the title. Show thinks Booker’s trying to make Del Rio a hero to the latino audience. I think he means, “THE booker.” Show wants Del Rio stripped of the title, and this brings out Ricardo to introduce the champ. Del Matador offers Show a shot at the title tonight, and Show turns it down, because like Friday, he isn’t prepared. Del Rio questions his cajones (marbles, juevos, etc), and Show chooses to exact his rematch at the Rumble. Amazing how much personality ADR shows when he’s not doing the Destiny spiel. First time in 5 years a FACE turn helped someone. They have a gift for Show, and they trick him with confetti. LAME. Del Rio makes up for it with a hurrachanrana on the giant. Segment Rating: 6/10. Could’ve been worse, and it actually given Del Rio some juice as a face. I don’t ask for much. -Classic Moment: Bob Barker hosts The Price is Raw. That explains who neutered the show. His bit with Jericho remains classic though. You used to have to spend $45 to see them fight for a World Title. Botched Thesz press lands, and the fight goes outside. Back suplex lands on the apron (same move he did to Sandow on Saturday Morning Slam….yes, I watched). Barrett continues to take a beating, and is clotheslined out as we take a break. Return in time to see Orton take a knee to the abdomen while Cole lists off great IC Champions. Sadly, JBL doesn’t claim either Simpson brother won it. Barrett lands a boot to the head for 2 and works Orton’s chinlock, which is like hitting Austin with his own Stunner. Orton escapes with a back suplex, and a slugfest develops, and Orton goes into his winning sequence (w/ snap powerslam). O-Zone backbreaker hits, followed by the draping DDT. Barrett avoids the RKO, and hits the Bullhammer…..for the clean win! Rating: 6/10. Average match. 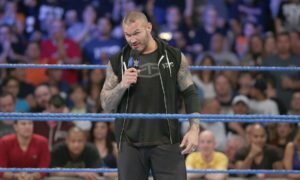 Guess Orton’s taking time off, as was speculated on the newsies, so the finish makes sense. I like Barrett anyway, so I’m down. -Booker informs Eve that she will be stripped of her title if she’s counted out or DQed. She tries to seduce the Bookerman, to no avail. She slaps Teddy, because Teddy’s a loser. -D-Bry and Kane plot against Dr. Shelby prior to their evaluation, and they reluctantly agree to a group hug in order to escape future treatment. D-Bry on Kane: “I like that he’s tall, and that he can set things on fire by lowering his arms somehow.” Also, Kane’s a good dancer. Kane promotes D-Bry’s agility and beard, and he wears women’s clothing and is proud of it. TAKE THAT, SMARKS. But Shelby brings in the Rhodes Scholars to do ‘trigger therapy’, and antagonize their foes. Sandow takes exception to Shelby’s doctorial methods, and when Sandow says Dr. Phil is a more qualified doctor, Shelby snaps and sicks the champs on them. Then they do a bunch of Yeses together. Got that? Well, the match kinda has an angle. Sandow gets manhandled early on with a side slam, and Kane heads up top, so the Scholar bails. Sandow takes control somehow, while I distracted by JBL’s razzing of Shelby. Cubito Aequet connects, but Kane shakes it off and chokeslams his way to a quick win. Rating: 3/10. Too short to have much value. -And to the surprise of no one with WiFi, Mick Foley is the first HOF inductee. Even some Mennonites knew it was coming. But hey, he deserves the recognition. Foley comes out for the Cheap Pop, and herrrre’s The Shield. FINALLY! Foley vs. Ambrose! Before they can attack, Ryback’s out to serve as equalizer. Ryback gets the upper hand, but it soon swarmed. Orton runs in the make the save, as does Sheamus. Ambrose takes a Shell Shock as the faces stand tall. -Josh Mathews interviews Ryback, who wants to eat The Shield. -A look at crazy gimmicks over the years. WRESTLECRAP~! It’s been revealed that Eve has given notice, so the ending is hardly in doubt. JBL’s Ron Simmons chatter is more entertaining than the proceedings. Eve can’t put Kaitlyn away, and a running flip senton hits for 2. Lawler busts out a Shari Lewis reference, in case we didn’t know he was old. Eve gets a flipping triangle choke, but Kaitlyn makes the ropes. Kaitlyn gets a roll up for 2, and creates momentum (Trademark Michael Cole). Reverse DDT connects for 2, as the crowd was buying it. Eve gets a snap neckbreaker for 2, and we actually have HEAT for a Divas match! Kaitlyn comes back with a Malenko gutbuster, but Eve rolls outside. Eve dumps Kaitlyn over the rail, but Kaitlyn sneaks back in and spears her to win the title! Rating: 7/10. That….uh….was pretty damn good! Kelly Kelly had me believing good Divas matches on Raw were impossible. 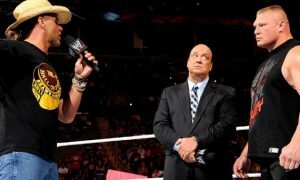 -Brodus Clay takes exception to CM Punk’s words last week, and says he shucks and jives because he wants to. -Classic Moment: Trump shoves Vince. Yep. Ah, Cameron/Naomi moon landing, how I missed thee. Punk tries a litany of strikes, but Clay drives him to the floor. Punk is brought in the hard way, but Punk fights his way back and hits the springboard clothesline. Punk takes time to mock Clay with Dude Love’s Charleston dance before applying a cravate. Clay catches a catch and hits the Sheeeeeeeplex before beginning his comeback. Corner avalanche misses, and Punk lands the Savage elbow. Vice is applied and Clay taps. Rating: 4/10. Serviceable shortie meant to make Punk look strong. -And Punk gets talk time, bragging about making a 400-lb man tap out. 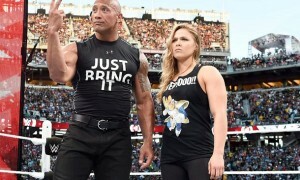 421 days as champion is a fact, while Rock being “entertaining” is merely opinion. -Best Vehicular Moments in Raw History. PEOPLE NEARLY DYING VIA MANSLAUGHTER IS CHUCKLEWORTHY. 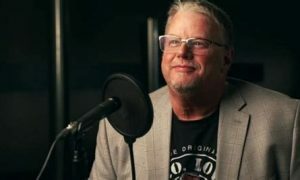 -The Rock n Sock Connection have a heart to heart, which Vickie interrupts. Rock doesn’t rebuke her, but promises something for the Rock Concert. Oh boy. Burial time! Nice spot as Sheamus does a fireman steamroller with one member onto another, but soon gets ganged upon. A team effort to eliminate him fails, and Mahal is knocked off the top to make it, essentially 2 on 1. McIntyre is tossed next. A Brogue Kick attempt on Slater misses, and Sheamus goes to the apron. A skirmish ensues, and Sheamus is pulled off by Mahal and Drew. SLATER WINS! Sheamus attacks them afterward, because he’s a poor sport. Rating: 3/10. It gets 2 points just for Slater winning. -John Cena gives a history lesson of Raw and mocks Chris Harris. Knock knock. -The Miz promises a big guess on MizTV, and his hint: “WOOO!” Cool, Will Smith’s gonna be on Raw?!? Oh, right. Miz asks Flair for his favorite Raw moment, and he picks his retirement ceremony. Which he obviously adhered to. Strutting and shuffling ensues. As RD Reynolds just told me, “1080p is not Ric’s friend.” This leads to a catchphrase montage. Odd timing. It was worth it just to see Snitsky proclaim that it’s still not his fault. Miz goads Naitch into doing the catchphrase after some prodding (“I got 4 ex-wives, I need a job, brother”. Easy, Ric, save that for the RF Video shoot. ), and this brings Antonio Cesaro out. Cesaro rightly puts Miz and Flair in their place, saying Flair has nothing to show for his greatness….except for a bar tab that he can’t pay. Miz stands up for Flair, and Cesaro goes to be the better man, but gets chopped, crushed, and figure foured by Miz. Flair drops an elbow on his coat, because why not. Segment Rating: 6/10. Entertaining crap. Classic Moment: Austin Confronts Tyson. Sadly, they omit the part where Vince cringes after Tyson declares Bruno Sammartino his hero. Cole says Rhodes is the “Essence of Mustachioed Magnificence”, and like Sweet Dreams, who am I to disagree? Short, short match, and Rhodes taps to the No Lock in virtually no time. -Eve quits via promo on a CELL PHONE APP. Betcha Ray Lewis doesn’t retire on a cell phone app. WWE > NFL. Bye, Eve. See you in TNA in about 18 months. -Crazy AJ talks about WWE weddings while Big E Langston scrunches his nose. AJ gets emotional over her own wedding, because Cena cost her the GM job. But Dolph’s there to console her like a true man. -Jim Ross finally arrives to add credibility to this dragging show. I was having my Kamp Krusty moment there without him. Ross replaces Cole, which no one should have any issue with. Dolph tries to escape instantly, but Cena drags him back. Another escape attempt meets the same fate. Cena snap suplex gets 2. Dolph keeps back with a dropkick following a leapfrog for 2. Dolph finishes a dominant sequence with a neckbreaker as the dueling chants kick up. 8 years and counting. Franchiser gets 2. Cena catches Ziggler and slingshots him at the cage, but Dolph catches the mesh and climbs. Cena chucks him off and goes to climb himself, but Ziggler stops him. Cena gets punched off, but Ziggler ends up crotched up on the top strand as we hit commercial. We come back with Cena going over the top, Lincoln Hawk style, but Ziggler stops him and the two joust atop the cage. Cena slips, and Dolph sees his cue, but Cena stops him. Dolph responds by dropkicking Cena to the mat. Nice! Cena goes into his winning sequence, complete with Five Knuckle Shuffle. Ziggler tries to climb out of the cage through the AA, but gets partially tights’ed, and a brawl leads to Cena getting knocked out….for 2. Ziggler goes through the door, but Cena grabs the feet. Langston grabs the arms and it’s a tug of war. Cena gets the best of it, and locks Ziggler into an STF. Ziggler counters into a scissored sleeper, but Cena piggybacks Dolph up and climbs the cage with him. Off the top, Cena pancakes Dolph to break the hold. Cena goes to the door, but Dolph drags him back, only to be kicked off. Cena goes back out to the door, but Langston slams the door on his head. Ziggler covers….for 2. Ziggler goes through the door, but Cena goes over the top and kicks the door into Dolph’s head! Cena goes over the top and Langston menaces him with a chair! Cena goes back in…ZIG ZAG! FOR 2! Ziggler goes up top, but Cena throws him down. Dolph comes back with a leaping DDT off the top for 2. Crazy, crazy stuff. AJ’s tantrum turns me on for reasons I do not understand. AJ begins climbing the cage, but Langston comes through the door with the briefcase, and a miscue sees Dolph accidentally hit Big E with it. AA finishes Dolph. Rating: 9/10. Damn great TV match to make up for the lack of nostalgia on tonight’s show. The divided crowd was hanging on every near fall by the end, and that made it worth it. Rock has the sense of humor to at least make fun of his old pineapple hair look. “If you put your mind to it, you can overcome ANYTHING.” Rock mocks Paul Heyman, probably in exchange for something that Rock will autograph that Paul can give away on Twitter. Ahh, business deals. Rock plays to ZZ Top’s Dusty Hill in the crowd, and then calls out Vickie Guerrero for a song. Rock channels Clapton and ends up berating her in fairly amusing fashion. Raw does need the word ‘biotch’ more. And this leads to Rock calling Punk out. Rock gives him the talking to, and we get a pull-apart at ringside. And….that’s it. Segment Rating: 6/10. The Vickie part was funny at least. OVERALL: Kinda underwhelming, given the expectation was for a lot of legends and such, but that’s what Raw 1000 (and every other self-masturbatory Raw) is far. The cage match was great, and the Divas match is probably the best Divas match on Raw since Lita/Trish in 2004. Seriously. Not bad for a one night CCB return.